As the sun sets over the west, a suburban street in Bankstown becomes the stage for a dynamic program of performance, film and visual arts. Over four hours, you¹re invited into the neighbourhood to see world-class theatre in suburban backyards, watch films around a hills hoist, or sit in a deck chair curb-side and listen to songs of contemporary Australia. 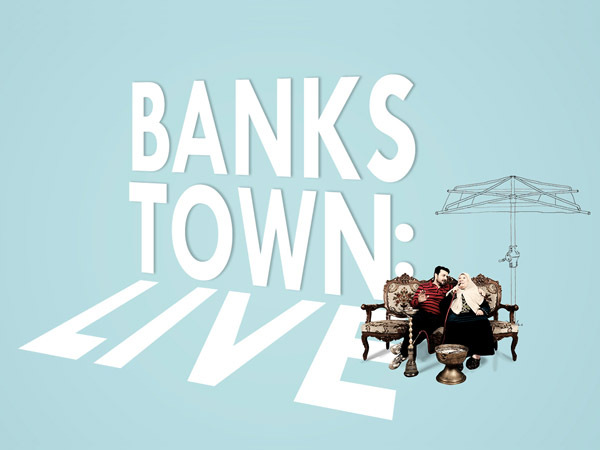 Curated by Rosie Dennis, BANKSTOWN:LIVE builds on the highly successful MINTO:LIVE (Sydney Festival 2011), and features compelling new work by critically acclaimed international and Australian artists. Share an evening with Urban Theatre Projects, creators of vibrant, site-specific work about contemporary life. Artists: Alwin Reamillo (Phil); Toby Martin & guests (Aus); Mohammed Ahmad with Janice Muller (Aus); Jenny Shillingsworth, Lily Shearer & Beverley Miranda (Aus); Sophia Brous & guests (Aus/UK); Joanne Saad (Aus); Emma Saunders & guests (Aus); Western Sydney animators (Aus) and Bankstown locals.